Tonight is the night, later on this evening, April 19th, King of the Cage “Throwdown” will be live inside the Las Cruces Convention Center to showcase a stacked fight card filled with amateur bouts and one headlining professional match-up. In preparation of tonight’s festivities, we would like to introduce fans to some of the area’s gyms and the fighters they produce. The Las Cruces MMA landscape is often unheralded and left to be more of an afterthought to the more mainstream Albuquerque area. UFC top contender Joe Benavidez has ties to the Las Cruces area and the MMA scene blends over from El Paso to make for a healthy area for MMA gyms, promotions, and fighters. We will be covering some of these gyms and fighters more in-depth in the coming weeks but here is a preview of the area’s gyms for “Throwdown”. Formerly the Three Crosses Jiu Jitsu Academy, the Gracie Barra Las Cruces is headed by Jacob Benitez who trains under Gracie Albuquerque’s “Tussa” Alencar. “Tussa” of course, a Black Belt in the martial art under Carlos Gracie Jr. Benitez is a Brown Belt in Jiu Jitsu and has several talented instructors aiding in the overall teaching within the gym. The gym boasts Purple Belt’s Angela Benitez, Roberto Nava, Craig Ansbach, Spencer Cooper, and Blue Belt Josiah Cuellar. The gym is Jiu Jitsu focused with adult and children programs but also includes MMA and striking classes for those who fight as part of the competition team. Tonight, Ivan Rios will fight in the 135-pound division as an amateur. If his home gym is any indication as to how he performs as a fighter, competitors from Gracie Barra have strong grappling fundamentals and are very crafty grapplers. The Bonecrusher MMA training facility is found within Head Coach Lorenzo Martinez’s garage and the MMA training happens in an outdoor cage. Headed by Lorenzo Martinez, the Bonecrusher/Torres MMA gym takes toughness from MMA and embodies the “old school” mentality of hand-to-hand combat. The gym has been around for 12-years and more active in the most recent three years; the gym is less gym and more training center as the training takes place in the garage of Martinez who also has a cage outside of the home. Martinez doesn’t stray away from any discipline, training fighters in wrestling, striking and grappling. The gym name “Bonecrusher” has straight forward meaning as Martinez said the name came about through the mentality of “Tap or snap. Break bones”. The competition team of 12 fighters will be well-represented tonight at the gym is scheduled to send out five fighters. The fighters trained with emphasis on their cardio, which means their opponents better be ready for three rounds if nobody is able to capitalize to get a finish. 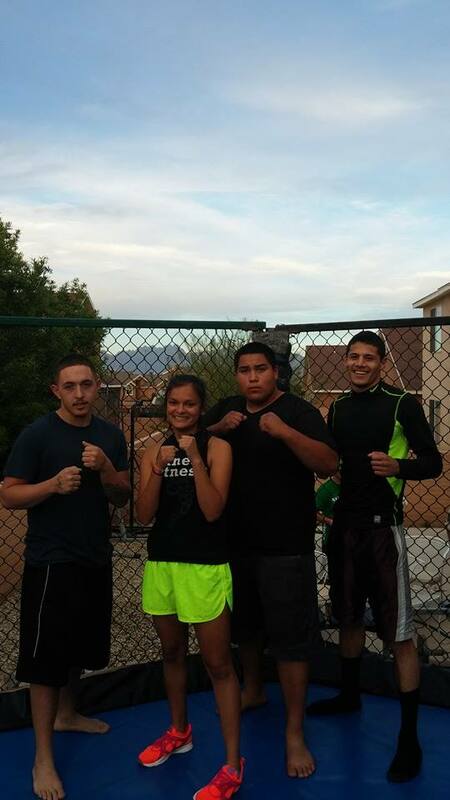 Alfonso Vargas, James Meza, Kailin Miller and Diana Rodriguez will all represent the Bonecrusher/Torres brand of fighting tonight at “Throwdown”. Operated and coached by Leo Torres, the gym has a balanced schedule of classes for children and adults. Included in the programs our Taekwondo, MMA, Brazilian Jiu Jitsu, and kickboxing and those martial arts are complimented by aerobic fitness classes. The gym has been opened for five years and has centered the competition fight team on quality versus quantity, training five fighters and seven children to actively participate in Jiu Jitsu. Coach Torres is a 4th Degree Black Belt in Taekwondo and a Black Belt in Jiu Jitsu to show for his 15-year martial arts career. Amongst the competitors scheduled for tonight, Adam Juarez takes on Nathan Vidana in a lightweight clash. Juarez has been training in MMA for only nine months but already is on a successful path with a victory in the Tuff’N’Uff promotion. Some tickets available are still available Las Cruces fight fans! Visit www.holdmyticket.com or get there early and purchase tickets at the door.